Red Roof Inns is one of the United States' largest economy motel chains, with well over 300 inns located throughout North America. Red Roof Inns are conveniently located near attractions and businesses and are accessible from major interstates and highways. 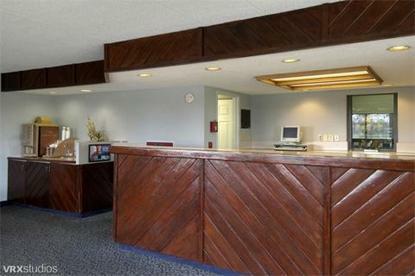 In addition, there are several restaurants and activities surrounding this inn to make your stay more enjoyable. This Red Roof Inn has T-Mobile wireless Internet access (daily fee may apply). Experience our coffeehouse-style service featuring fresh brewed, ground whole bean coffee.